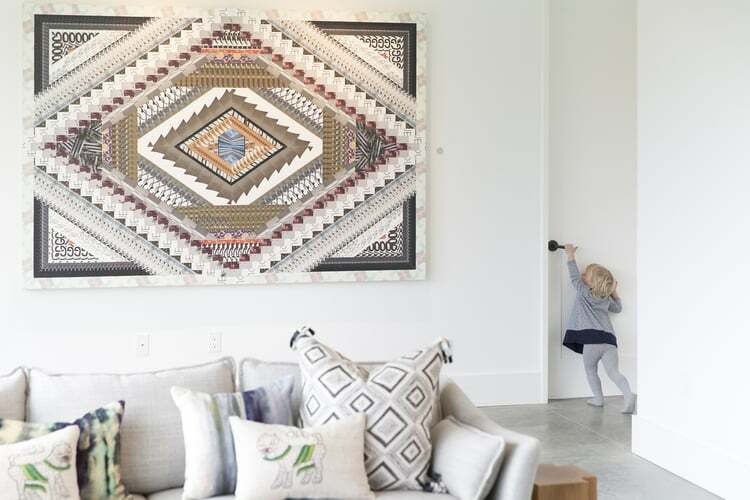 Damian and Britt Zunino, New York’s studio db husband-and-wife partners, ventured into designing and building a gorgeously huge home for their family’s weekend getaways. 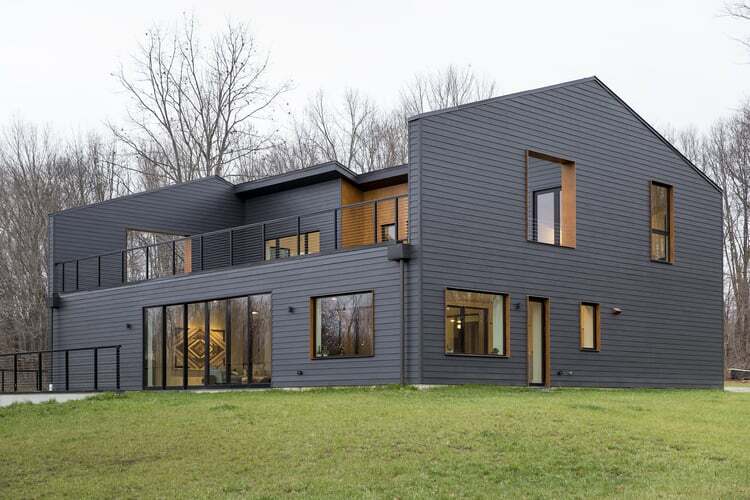 Nothing can be more perfect than 3,500-square-foot structure stood on a 12.5-acre lot, located nowhere else but in the vast greenery and natural scenic beauty of upstate Amenia, N.Y. 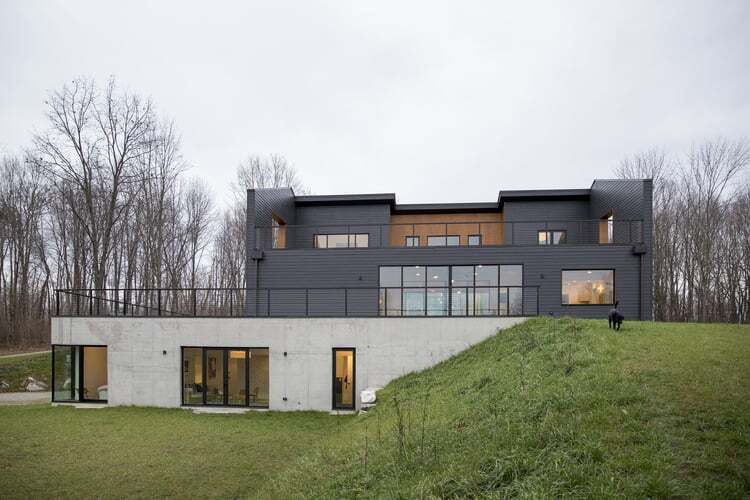 The first level of the house is a partly buried concrete enclosure amidst a lush grassy slope. The spot was exactly to the couple’s liking with its breathtaking mix of field, forest and hills. 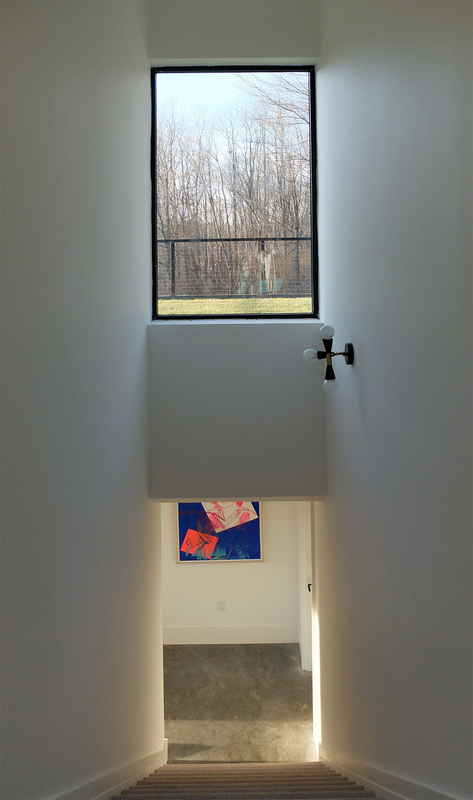 At the upper level is the home’s entryway with a courtyard up above. 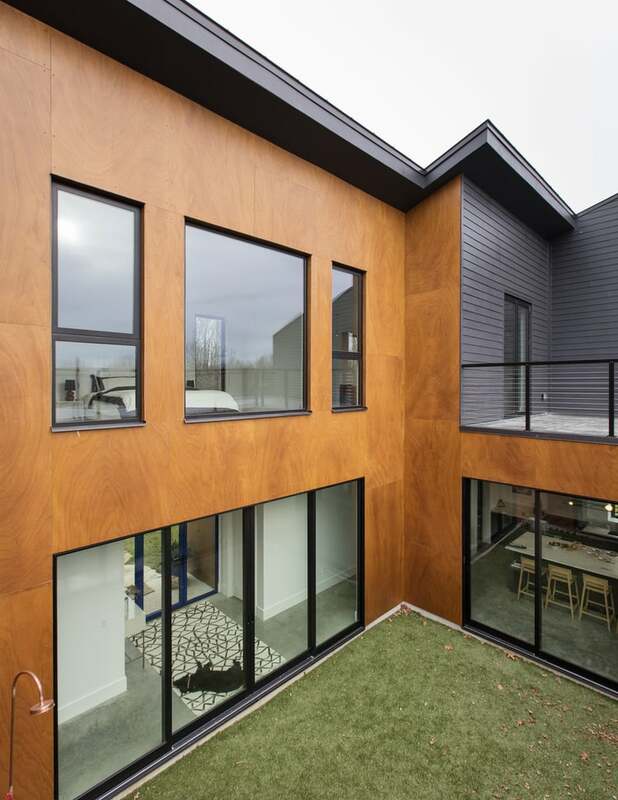 Massive-sized windows not only make for a bright and even more spacious environment, but enables the parents to keep an eye on activities from just about every part of the house. 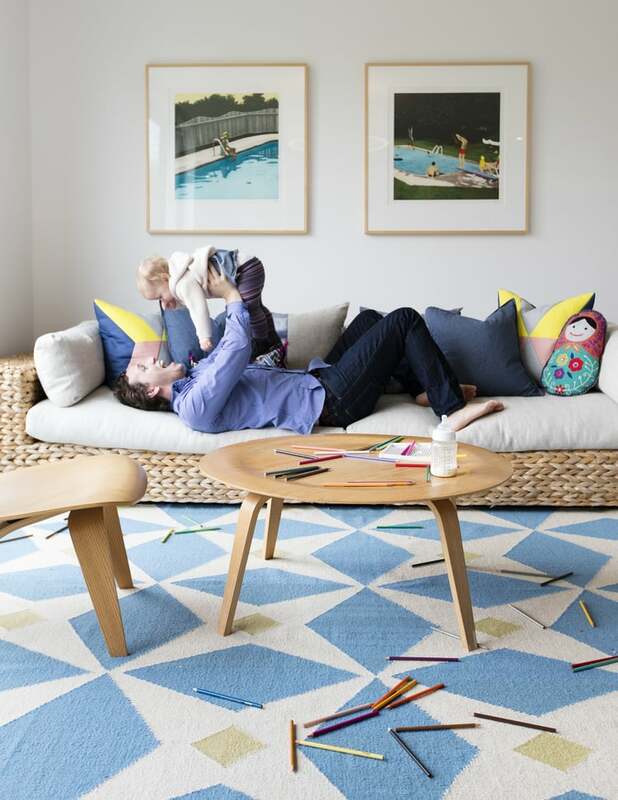 The home is as lively as it can be with their four adorable children- Brecken, Elliott, Georgia, and Harper. 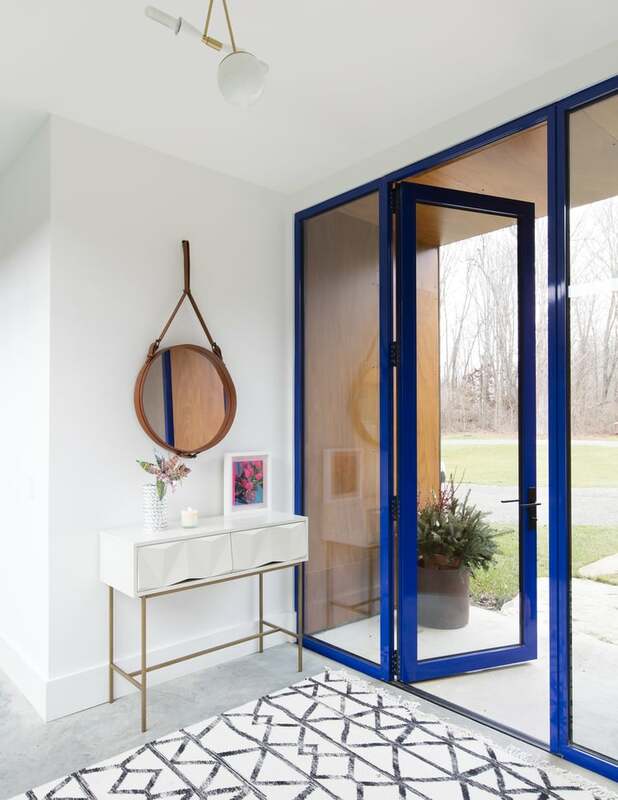 In the living room, sliding glass doors provide a stunning view of the outdoors on both sides. The left opens up to a grassy green roof overlooking nature’s offerings, while the right leads to a courtyard laden with artificial turf. Vintage chairs, an exquisite rug and awe-inspiring work of art grace timeless beauty in the home. 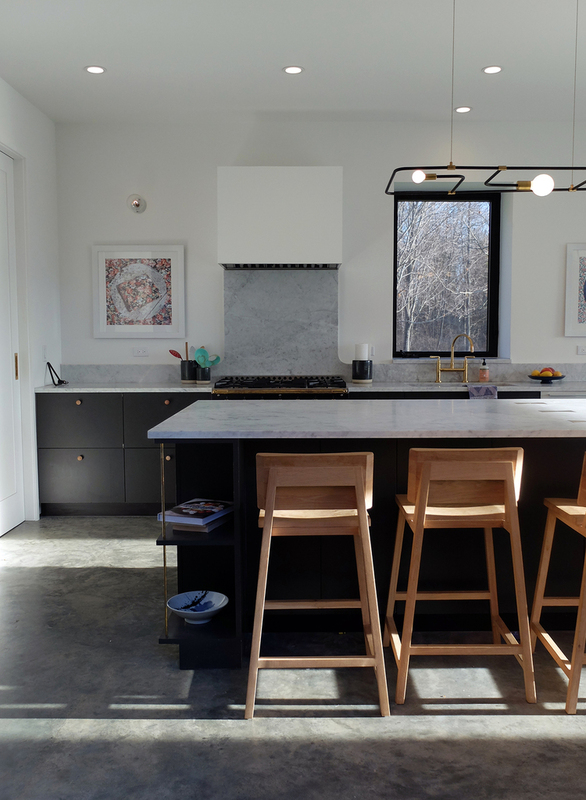 A long marble-topped island is matched with high wooden chairs for kids to comfortable share a casual meal. Kitchen counters are a medley of black and white with a sprinkle of gold. The absence of open cabinets and tall windows embedded in white walls create a clean and uncluttered appearance. The bed features an elegant headboard centered in the two vertical black-framed windows of the white-walled room. 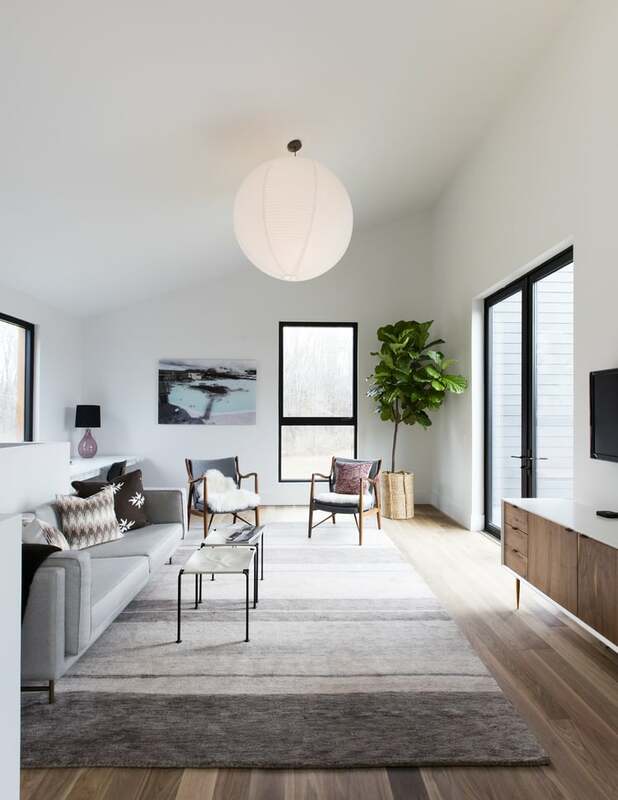 It rests on a frilled rug covering the walnut floor. 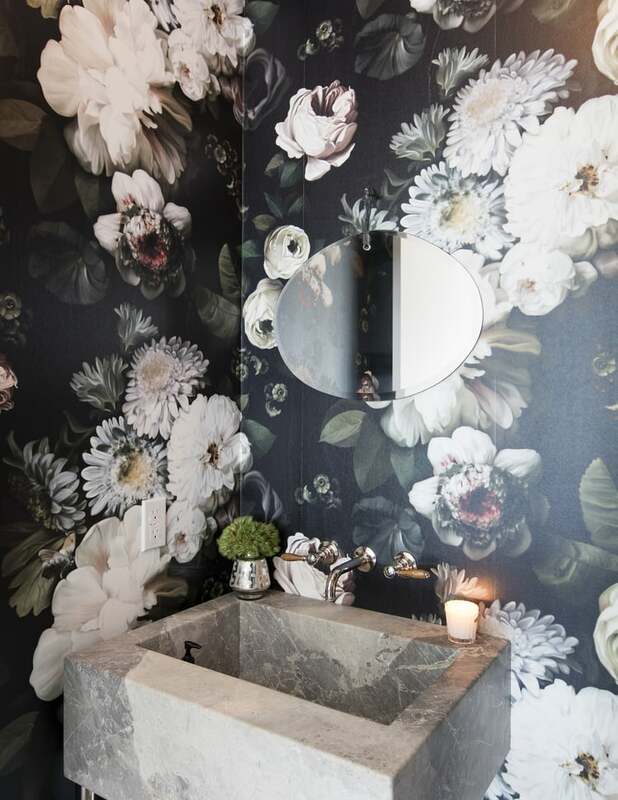 The home’s open-concept extends to the bedroom as seen in the unique freestanding tub situated on hexagonal marble tiles seamlessly incorporated with the rest of the room’s flooring. A nice gray couch that matches the carpet underneath comprises the very welcoming sitting area. Kids’ rosey bedroom features a glow-in-the-dark ceiling wallpaper where an artful paper-mache chandelier is beautifully hung. The paper flower branch looks so cute and dainty just like the patterns on their pinkish pillows. 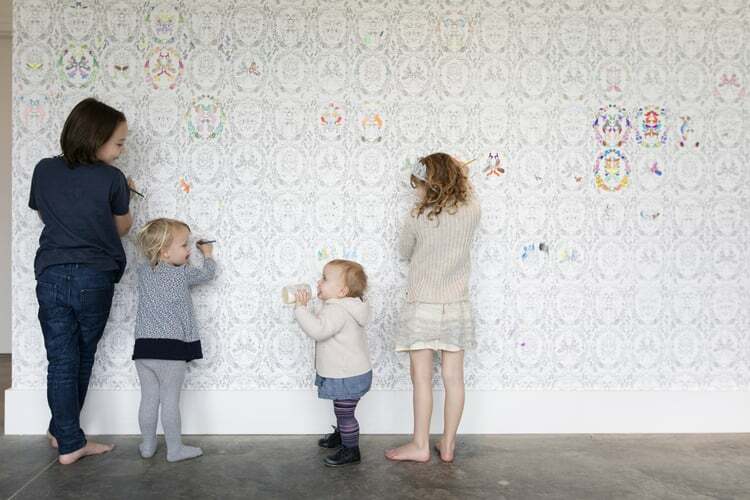 The playroom is covered in wallpaper with a lovely new pattern. 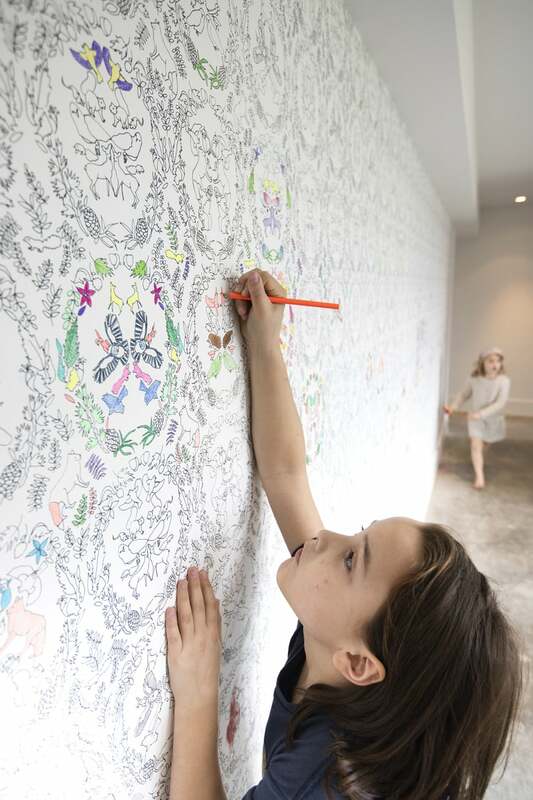 The remarkable design gives parents worry-free days while their children enjoy freedom to color it to their heart’s desire! 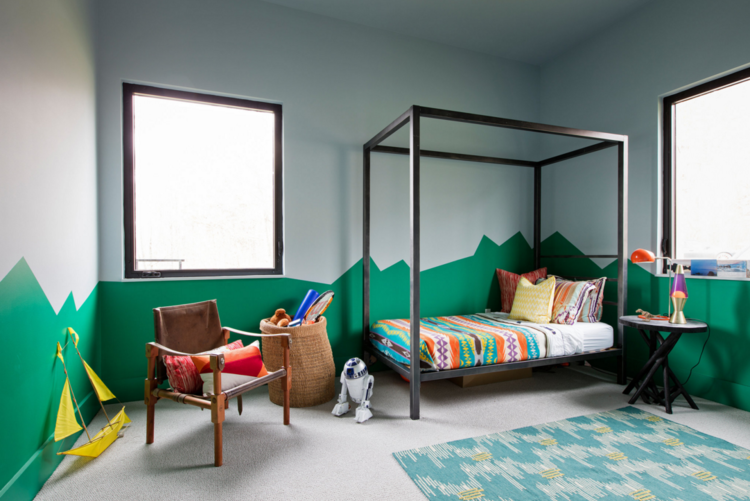 Brecken’s bedroom mimics the rugged landscape outside the home with fun geometric patterns and cool shades.